An exceptionally designed 1-bedroom + den home, Residence 508 is situated on the 5th floor of The Liddel, a sophisticated collection of residences on the Wilshire Corridor. Living spaces feature an open-plan great room, south-facing city views, expansive window walls and a private terrace. The chef's kitchen features Jamie Bush custom-designed millwork with integrated Miele appliances and signature kitchen island. The master suite boasts a walk-in closet and spa-style master bath. The den may serve as an office, bedroom or media room, connecting to the home's second full bath. Other Jamie Bush custom design features include wide-plank, white oak floors, terrazzo bathroom flooring, custom vanities and Atelier de Troupe light fixtures. Residents enjoy 24-hour concierge, private, enclosed motor court with valet, EV charging stations, a club lounge with bar, catering kitchen, dining room, fitness studio and rooftop terrace with outstanding views of the surrounding hillsides. Lot Size: 0.61 Acres / 26426 Sq. Ft. Directions:Wilshire Blvd. Between Malcolm Ave. and Selby Ave. On North Side of the Street. SchoolsClick map icons below to view information for schools near 10777 Wilshire #508 Los Angeles, CA 90024. Listing provided courtesy of Donald Heller, The Agency. Home for sale at 10777 Wilshire #508 Los Angeles, CA 90024. Description: The home at 10777 Wilshire #508 Los Angeles, CA 90024 with the MLS Number 18364758 is currently listed at $1,368,000 and has been on the Los Angeles market for 278 days. 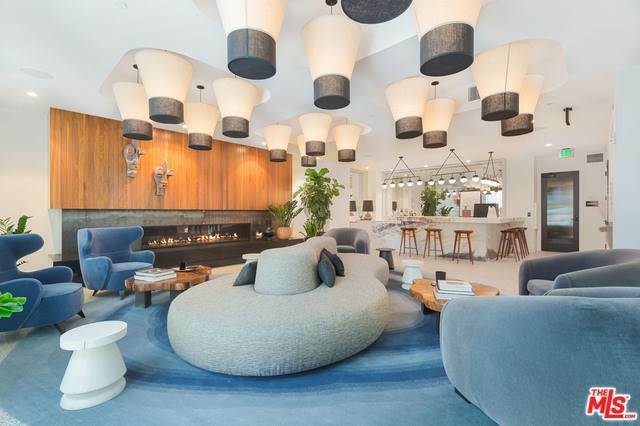 You are viewing the MLS property details of the home for sale at 10777 Wilshire #508 Los Angeles, CA 90024, which includes 1 bedrooms, 2 bathrooms and has approximately 1215 sq.ft. of living area.